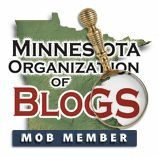 Please go to http://www.radioblogger.com/ and vote early and often for Minnesota. This is the Heavy-Handed way. Thanks for your help.